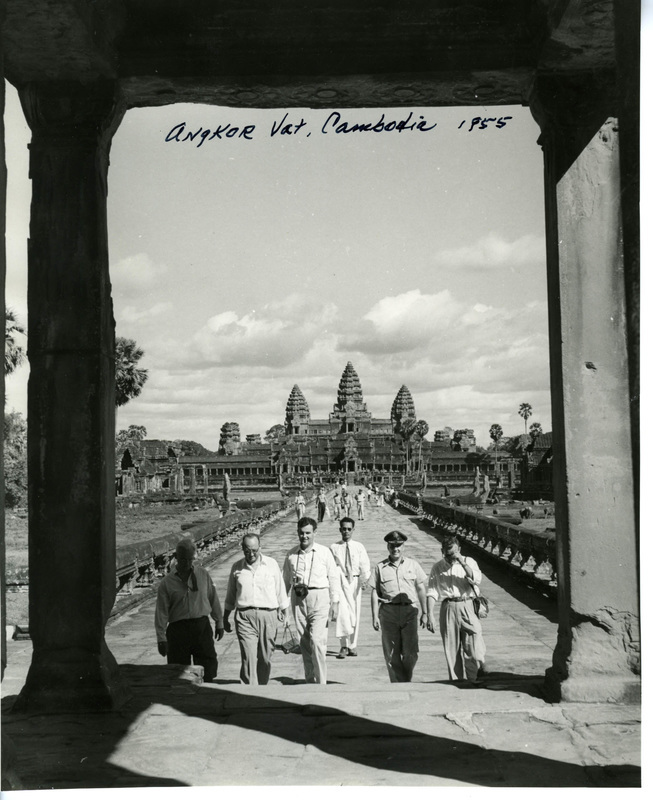 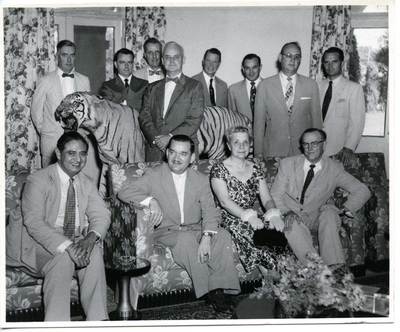 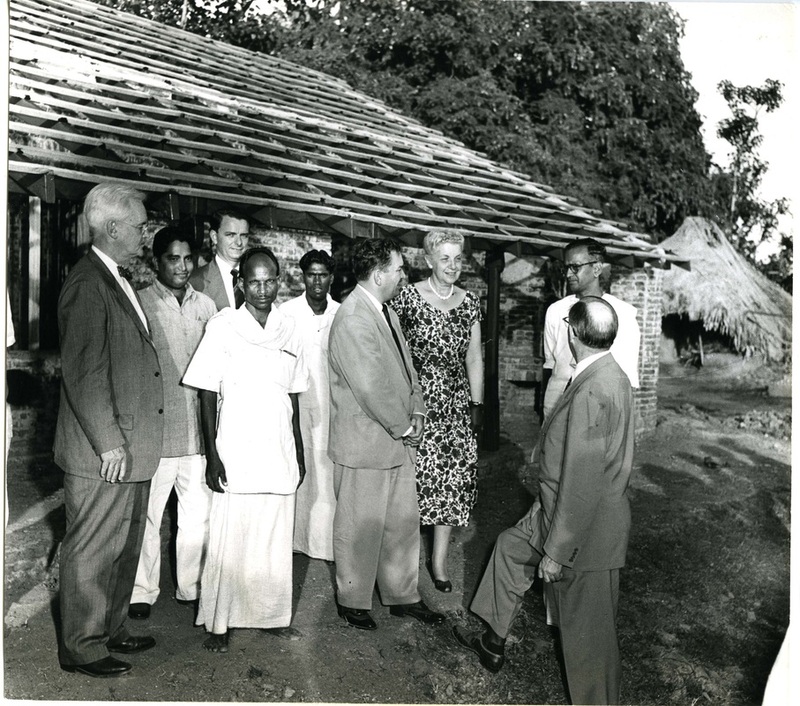 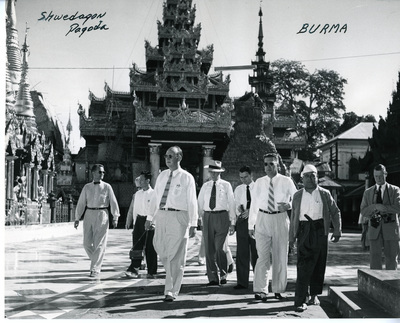 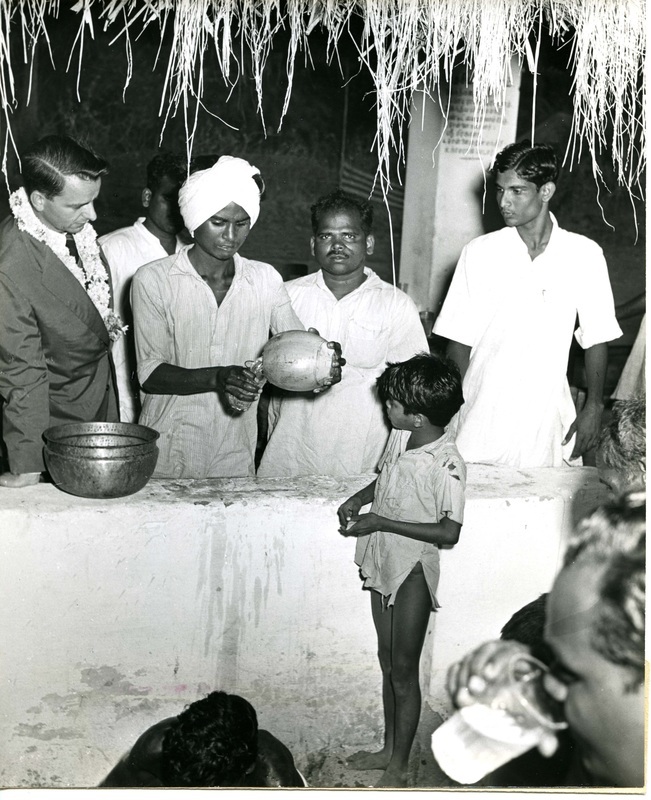 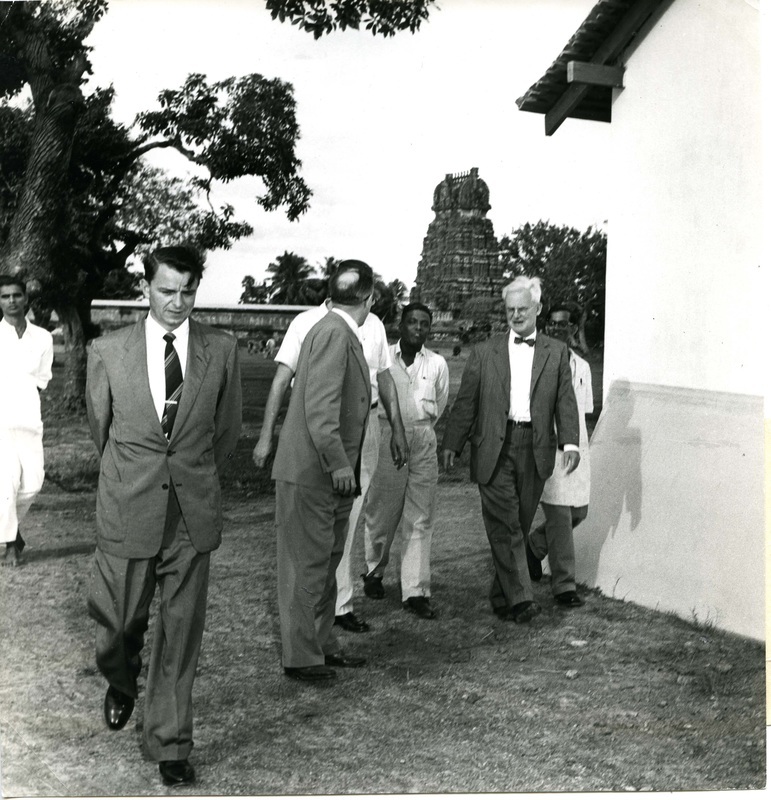 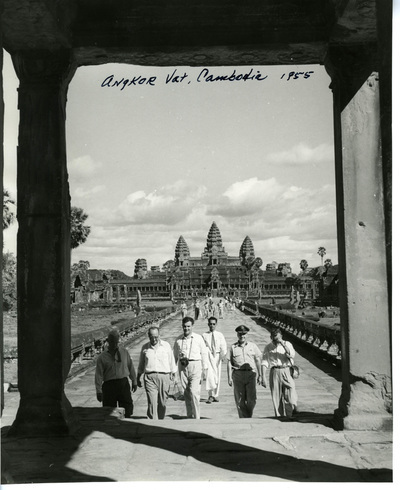 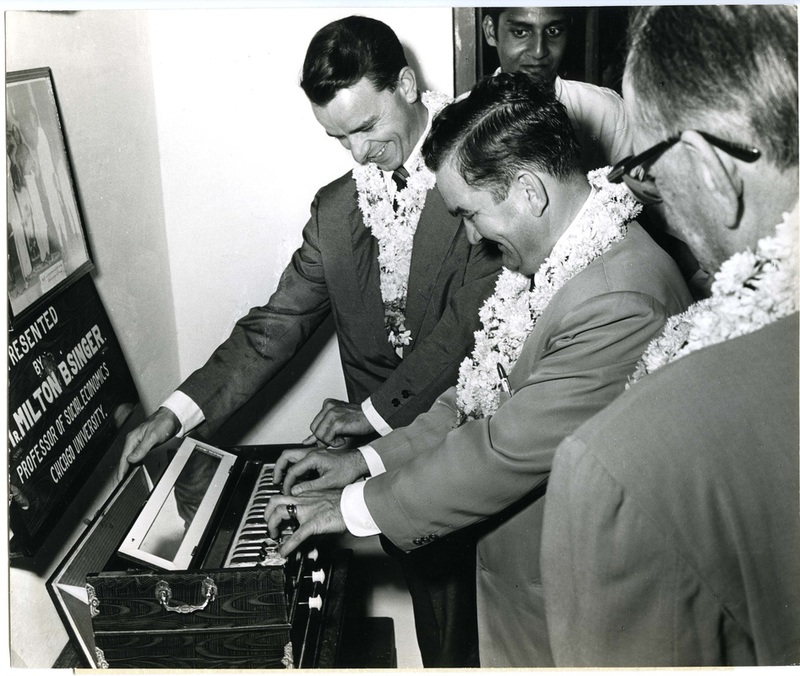 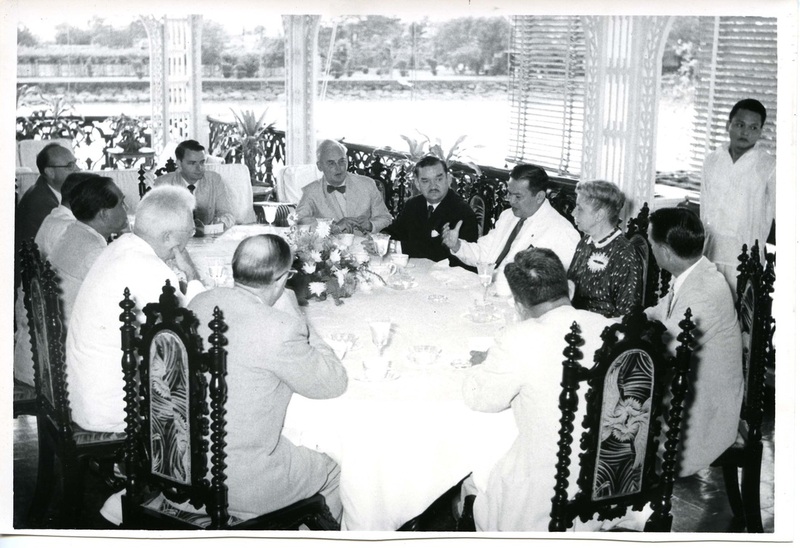 In his second term in the U.S. House of Representatives, Congressman Robert Byrd was selected to go on a major delegation trip that lasted 66 days between October 11 and December 15, 1955. 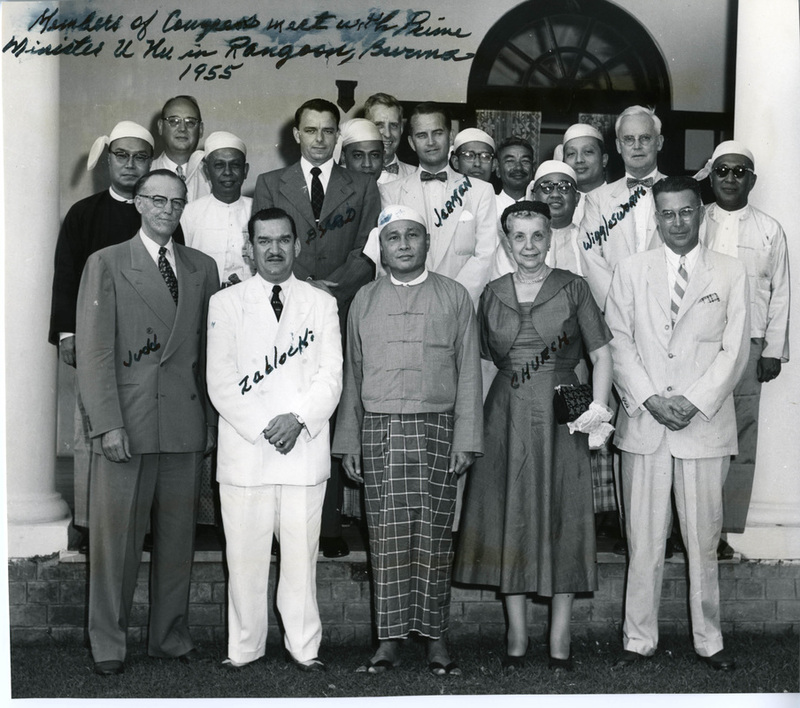 The delegation was made up of members of the House Foreign Affairs Committee's Subcommittee on the Far East and the Pacific who were tasked with assessing the status of U.S. foreign aid projects across Europe, the Middle East, Northern Africa, and Southeast Asia. 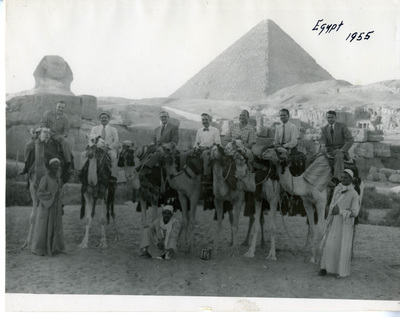 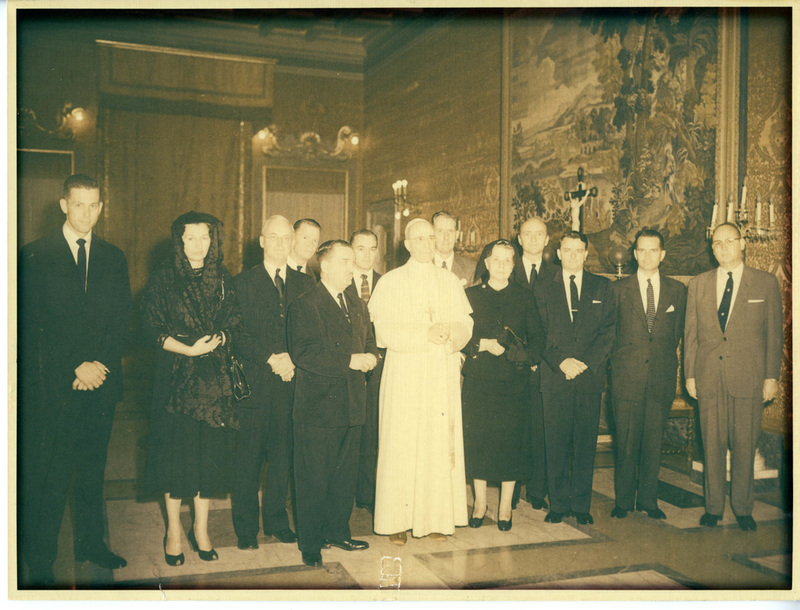 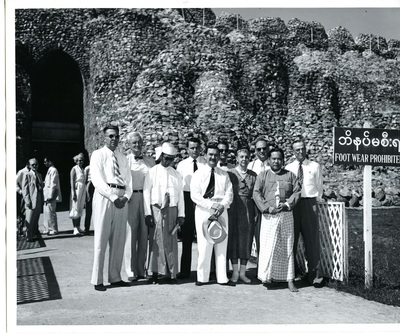 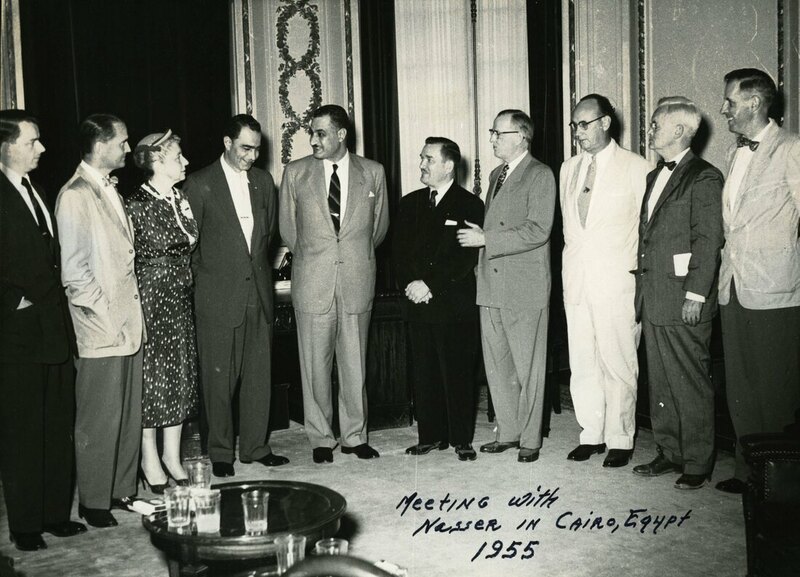 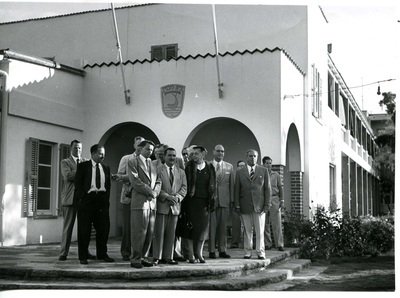 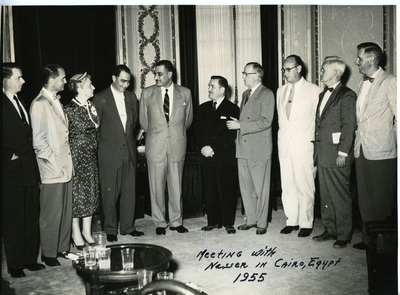 Over the course of their trip, the members of the delegation traveled over 31,400 miles, stopped at over 50 destinations, and visited with numerous world leaders including Pope Pious XII in Rome, Colonel Gamal Abdel Nassar (future president of Egypt), King Faisal II of Iraq, Prime Minister U Nu of Burma (Myanmar), President Diem of Vietnam, and Chiang Kai-Shek, President of the Republic of China (Taiwan). 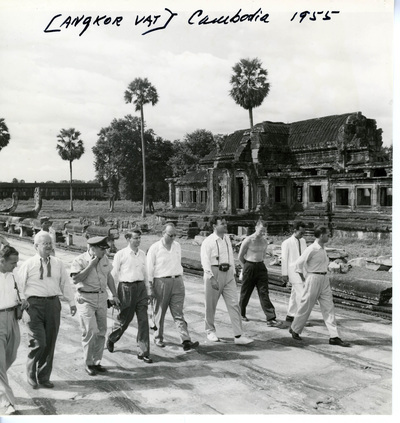 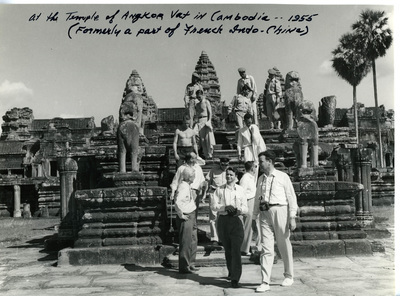 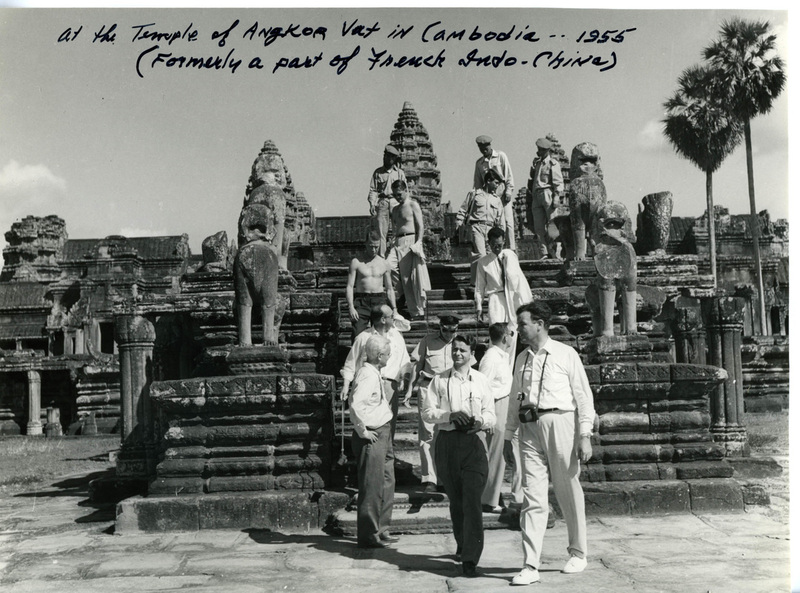 Upon their return to Washington, the delegation members' experiences offered valuable insight into the early escalation of the Cold War and the spread of communism throughout Eastern Europe and Southeast Asia. 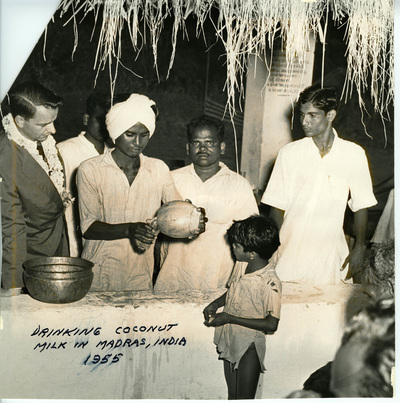 Congressman Byrd kept a diary during his trip, which is preserved in the archives at the Byrd Center. 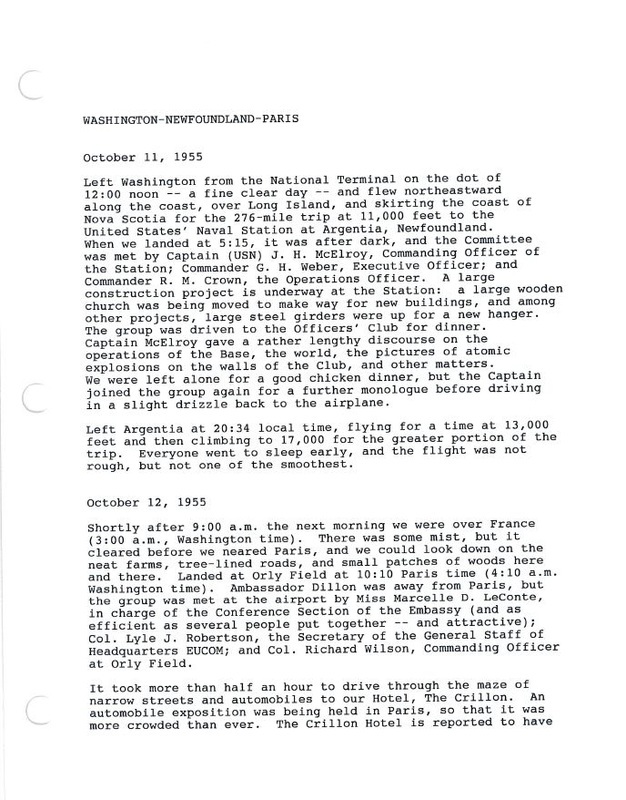 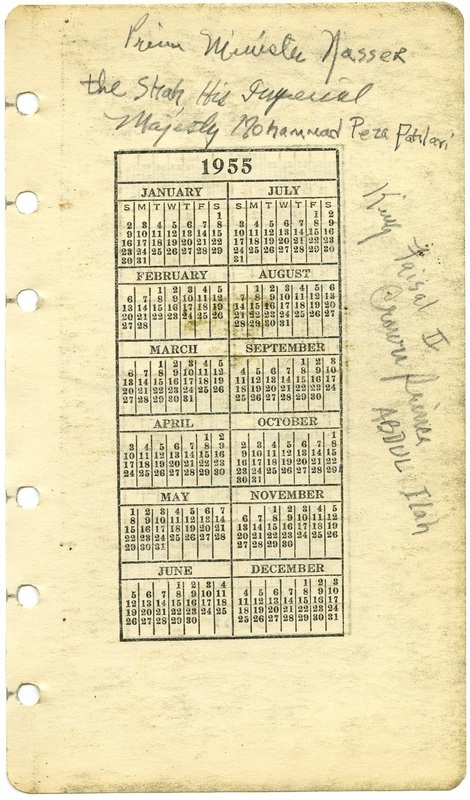 Explore his original diary which has been digitized as well as a transcript prepared by his staff. Several photographs were also captured during the delegation visit which are available below. 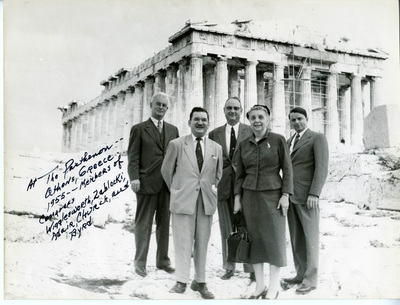 Members of the Delegation at the Acropolis in Athens, Greece: (L to R) Congressman Richard Wigglesworth (MA), Congressman Clement Zablocki (WI), Congressman E. Ross Adair (IN), Congresswoman Margurite Church (IL), and Congressman Robert Byrd (WV).